Below is a(nother) dusted-off post from 2011. In 2011 my mother was still alive and living at home. She clearly had dementia and her body was slowly failing on her. 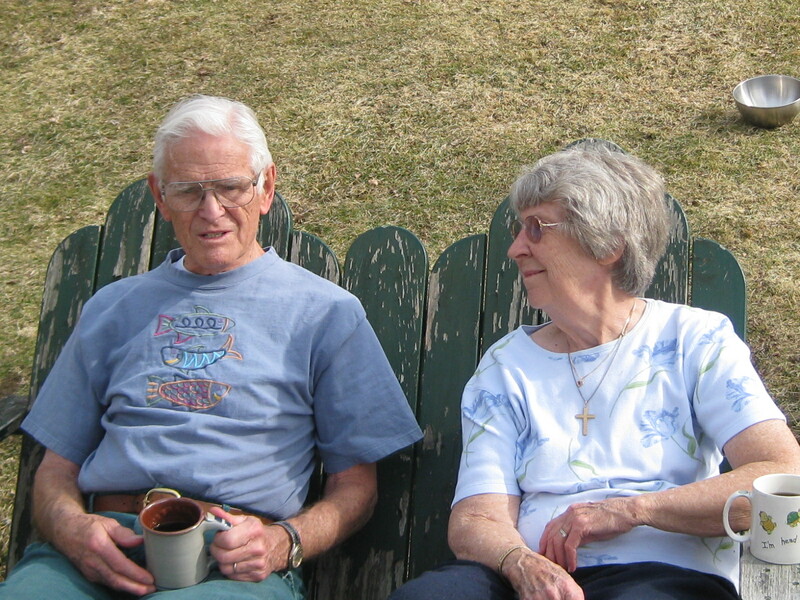 My father was her main care-provider, but that summer was hard on him, too. With all that was going on, I helped out as best I could. Last Thursday we went for the follow-up visit for my mother’s bladder biopsy. The baby-faced doctor handed my father the pathology report. “It’s bladder cancer, just as I suspected,” he said. When he began discussing the treatment options, it was truly a discussion. He listened to our concerns, answered questions, explained, and listened some more. We finally reached the point in the process that I was anticipating (and dreading). My mother is now incapable of making decisions, especially decisions like this. She can decide what she wants for lunch — usually something involving marmalade. She can decide what she wants to wear — usually the same thing she has been wearing for the past three days. She can decide when she wants to take a nap — often. She cannot make an informed decision about her health care. I started to pipe up, “Dad, I think we’re at the point when you need to make these decisions for Mom,” but my mother interrupted. Hallelujah! If the angels weren’t singing in heaven, they were singing in my heart! I hadn’t known to pray for this, but this was an answer to prayer. The rest of the visit was a piece of cake. We made the decision to simply wait. At 83, any treatment may have been worse than the disease itself…. I had forgotten so much about that time period. The bladder cancer turned out to be a red herring. So many other things made that season hard. Had I know what lay ahead, I would have said that I was not capable of any of it. God makes our path a little windy so we can’t see what’s around the next bend. Perhaps if we knew, we wouldn’t want to go on. Today, January 13, 2017, I can look back and say, Thank you, God, for getting me through those years. It makes it easier to trust You on the road I’m traveling now. Touching story, I’m so glad you found something to get you through. Best of luck to you. That’s a great way of looking at a tragedy that has floated into the past. I guess just surviving it intact says something. Of course I am thinking of my own similar years until my mother’s death last April. We learn from both the good and the bad. The passage of time allows us to see what we couldn’t see back then.